LuxSci provides a vast array of options for sending outbound email securely — from Opportunistic TLS, to SecureLine for enforced TLS and other methods of end-to-end email encryption. Many organizations requiring HIPAA compliance or high security solutions rely on these services every day. In relation to these services, we are commonly asked: “Was the email message sent securely? How do we know? What kind of encryption was used? Did the user receive the message? etc.”. LuxSci has offered email sending and delivery status reports for some time. What was missing until now was the ability for users to see if the message was delivered securely and by which method. The message was not sent using SecureLine because the user opted out of encryption for this message. 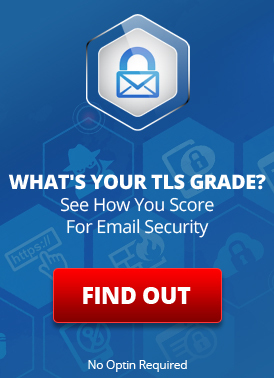 The other column, “TLS Delivery” is available for all customers using hosted email and indicates if SMTP TLS encryption was used when delivering the email message to the recipient’s mail server. This could be used for opportunistic or forced TLS and could even be used in conjunction with other encryption methods like SecureLine Escrow, PGP, and S/MIME. End users and account administrators can now use these detailed reports to see if any particular message was sent securely, and how. Note that the records for messages sent before this reporting feature became available this past weekend will show “Unrecorded” in the SecureLine and TLS Delivery columns. This entry was posted on Monday, November 19th, 2012 at 5:26 pm	and is filed under New Feature Announcements. You can skip to the end and leave a response. Pinging is currently not allowed.